HBH Senior Living has a large number of volunteers who donate their time to help care for our residents and clients. Our Day Programme has a roster of around 12 regular volunteers who assist with meal times, activities and games. Volunteer Coordinator, Kim Thwaites, said the volunteers enrich the offering at HBH Senior Living. “They have formed some great relationships with our Day Programme clients and really add to the fun time here.” Some of the volunteers have been helping for years. One woman attends two to three times a week and another passionate young woman volunteers every day. 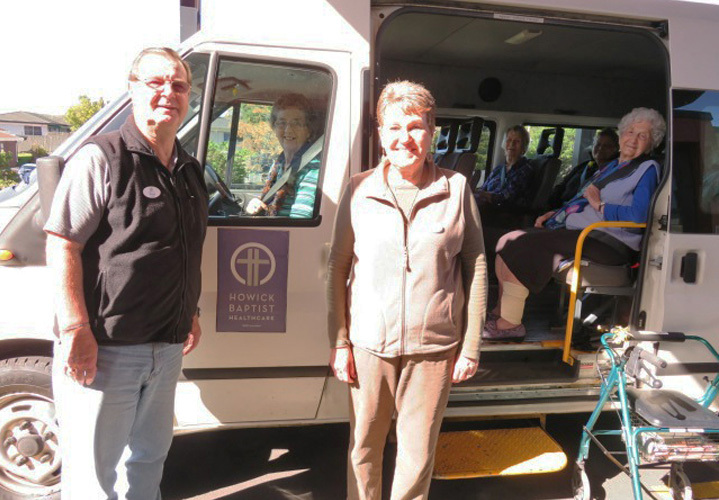 Volunteers assist HBH Senior Living residents out and about as well: driving the mini van on regular tiki tours to scenic spots around the city, as well as shopping trips for our apartment residents. Thank you volunteers, you really make a difference to the HBH Senior Living family!